Is Your Pool Ready for Winter? A new swimming pool installation serving Salt Lake City may change the way you enjoy your summers. What you might not have thought about is how you can get it ready for the winter. You can start by taking out floats, toys, and any minor water features that might be floating around, and then you can focus on the smaller debris and contaminants that have found their way into the pool. Don’t choose a pool cover just because it’s on sale, because a low-quality cover might not do a great job of protecting your investment throughout the offseason. Read ahead and find out if your pool is ready for winter. By the end of the summer, you might have accumulated a hefty inventory of pool toys. Before you can shut your pool down for the winter, you need to get everything out of the water. This means all pool noodles, floats, volleyball nets, and floating filters need to come out. Take out removable ladders as well, and give the pool a good sweep for any stray diving toys that might have been left behind. You should not have anything but water in your pool when you fully close it for the season. Since you shouldn’t have anything in your water by the time you put the lid on the pool, all the bugs, leaves, and debris should be gone too. 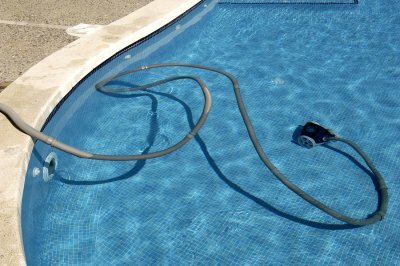 Skim and vacuum your pool until the water looks clearer, and then focus your attention the chemical balance. The pH level, alkalinity, and calcium hardness all need to be in balance for your pool to make it through the winter. Clean the walls and floor of your pool, and empty out filters and pumps that may still contain water and debris. Once you have properly tended to your pool, the final step in winterization is closing it. Find a sturdy, dependable pool cover that’s strong enough to support the weight of a child or animal in case any accidents happen. In this case, the right cover can save lives. After the pool contractor in Salt Lake City finishes the job and heads home, it’s your responsibility to maintain your water. Cloudy water takes away from the aesthetic appeal of your outdoor or indoor swimming pool, and it usually shows up because of unbalanced levels or neglected maintenance. Aside from checking your levels and maintaining your pool, you can look into a pool clarifier to brighten up your water. Here’s a look at what causes cloudy pool water and what you can do to get rid of it. Anyone who has maintained a pool for at least a summer has seen the effects that different balances in chemicals can have on the water. When maintaining your pool, check levels like the pH of the water, alkalinity, and water hardness. There are different levels of cloudiness, and the more chemically imbalanced your water is, the more clouding is likely to occur. This type of problem could be specifically due to low chlorine levels. If you feel like you’ve been keeping your water balanced but you still notice that it’s cloudy, talk to your pool contractor to see if you need new chemicals. Your filter is responsible for taking in water and removing the contaminants, and then returning the cleaned water back into the pool. If you don’t practice proper pool maintenance and take care of your filter, you might end up with cloudy water. Skim the water yourself to remove insects, leaves, and animal droppings. These factors can cloud up your water, but getting rid of the contaminants quickly can make pool maintenance easier. Don’t forget to maintain your filter, as that is one of your only other lines of defense. If you’ve been doing everything right but you still have cloudy water, try a clarifier. A pool clarifier forces small particles and contaminants to stick together, which makes it easier for the filter to get rid of them. Use a clarifier to clump these particles together so you can enjoy clearer and cleaner pool water. After scheduling your hot tub installation near Salt Lake City, you can look forward to countless relaxing hours with your new investment. Keep it in like-new condition by checking the chemical balance regularly . If you use chlorine or bromine, you should test the water every two days. If you use a non-chemical cleaning system, like ozone, you should test the water every week. You can also have a pool contractor perform a professional analysis every month. Pool contractors can use tests that are far more advanced than the test strips you use. Use a clean plastic or glass container to collect water samples, and don’t use this container for any other purpose, as this will affect the results. Holding the container, reach out as far to the middle of the hot tub as you can. Submerge the container as deep as it will go when the water level is at about your elbow. To check the sample, follow the instructions on your test strips or liquid test kit. If you’re taking the sample to a swimming pool company for testing, secure the lid tightly and take it over right away. If the test is delayed or the sample is allowed to sit in a hot car, the results can be inaccurate. An in-ground pool at your home in Salt Lake City gives you amazing opportunities for relaxation, recreation, and family fun, but swimming pool maintenance is not for the faint of heart. It takes a lot of work to keep your pool in good condition. After a heavy rainstorm, you might have dozens of pool-related tasks to deal with. Make things easier on yourself by scheduling professional pool maintenance services. Watch this featured video to see how your swimming pool company will clean your pool after a rainstorm. The rain might have brought down lots of leaves that need to be skimmed. Dirt can settle into the bottom of the pool, the chlorine can zero out, and the pH level will likely be undesirable. The contractor will add the necessary chemicals, clean out the filters, drain excess water, and empty the skimmer basket to get the water sparkling again. These days, many pool owners have decided to eliminate the diving board entirely. This is primarily due to safety concerns, although some people choose to avoid diving boards for aesthetic reasons. Diving can still be a thrilling part of the home pool experience, however, as long as you inform the swimming pool builder in Salt Lake City that you intend to use it for this purpose. Your pool contractor will discuss applicable safety codes with you to ensure your pool meets the safety standards. A pool will only be safe to dive in if it meets the minimum length and width standards. The American National Standard for Residential In-Ground Swimming Pools requires that all home pools with a diving board be at least 16 feet wide and 32 feet long. Depth is a crucial consideration for diving pools. At the deep end where the diving board will be installed, the pool must have a hopper that is at least eight feet deep. The hopper is the deepest part of the pool. However, competitive divers should ideally have a deeper pool for safety. Your pool contractor will let you know what the maximum depth available is. Slope is another significant safety consideration. The code for residential pools prohibits wall slopes greater than a 1:5 slope ratio to a transition point. This transition point shouldn’t be any less than two feet, nine inches beneath the waterline. The diving board you select depends in part on the type of pool you have. If you have a saltwater pool, you’ll need a diving board that is capable of resisting rust. It’s possible to have a board as long as 10 feet if your pool is large and deep enough, but generally, only competitive divers would select a board this long. 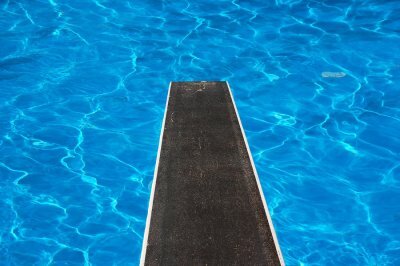 Most pool owners install a six-foot or eight-foot diving board, depending on the size of the pool. Your swimming pool builders can make your diving pool as safe as possible, but a good design and solid construction don’t override the need for consistently enforced safety rules. Divers should only jump off the end of the board, not the side, and no horseplay should be tolerated on or near the diving equipment. Children should have adult supervision at all times, and no one should swim or dive without a buddy present. Becoming a new pool owner is exciting. Dealing with daily pool maintenance is somewhat less thrilling. When you imagined having your own pool at home, you probably thought about how nice it would be to relax on a float on a hot day, get more exercise swimming laps, and give the kids a place to play outdoors. Weekly shock treatments and daily debris skimming probably wasn’t part of your daydream. But, the good news is that you don’t have to manage it all by yourself. A pool contractor in Salt Lake City will give you all the information you need to make decisions about your professional maintenance schedule. What’s the easiest way to stay on top of pool maintenance? Of course, your own maintenance list won’t replace professional services, as these are only some of the tasks that need to be done regularly. 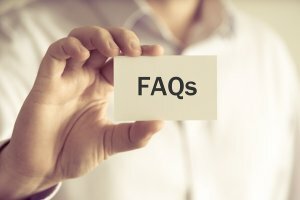 How can I balance the calcium hardness? Hard water makes your pool cloudy and can cause sediment to accumulate inside the plumbing. Water that’s too soft is corrosive. Eventually, it can corrode the metal and crumble the concrete. Ideally, you should keep the calcium hardness at about the middle of the 150 to 400 ppm range. Check the level every one to two weeks. Raise the level simply by adding calcium chloride. Lower the level by draining and replacing some of the water, or by using a flocculant. A flocculant will clump the extra calcium, and you can then remove it by cleaning the walls and bottom of the pool, and then backwashing and cleaning the filter. How can I keep ducks out of my pool? Ducks are certainly cute, but they’re also messy, and letting them use your pool will make your pool maintenance tasks more of a headache. Perhaps the least expensive way to duck-proof your lap pool is to introduce some of their natural predators. Find pool floats that mimic the size and appearance of alligators, snakes, dolphins, or killer whales. Leave the floats in the water whenever you aren’t swimming. 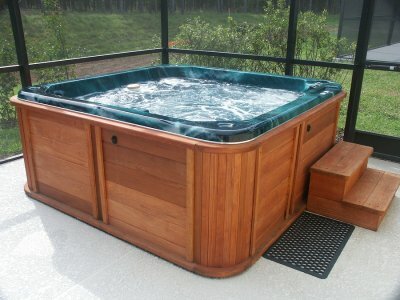 After you perform a new hot tub installation on your property, you will be in charge of routinely maintaining your spa. In this video, you will learn some essential tips and tricks that will help you to maintain your hot tub installation over time. A company that offers swimming pool services in Salt Lake City can provide you with the chemicals that are needed to balance the water in your hot tub and eliminate harmful bacteria. If you have been dreaming of a new hot tub installation for your property, now is a great time to schedule your project. With services from a company that sells hot tubs in your local area, you can set up a cozy spa that is ready to help you relax. What Are the Safety Benefits of Keeping Your Pool Covered? Pool covers provide safety and protection for backyard swimming pools. If you are gearing up for a new pool installation near Salt Lake City, be sure to talk to your swimming pool builders about the possibility of ordering a custom cover for your pool. By including a cover in your pool installation, you will have the peace of mind that comes from knowing that your pool area will be a safe space for your entire family. There are a few safety benefits to keeping your pool covered when it is not in use. 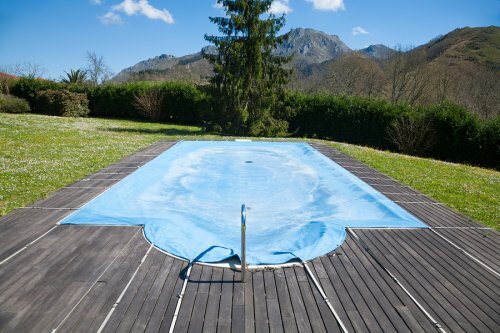 With its strong and durable construction, a pool cover will be able to prevent accidental slips and falls into the swimming pool. Pool covers also prevent young children from entering pools without the presence of a supervising adult. When you cover up your pool between swimming sessions, you can also help to prevent dangerous debris and bacteria from contaminating your pool water. During a swimming pool installation, you will need to consider both the function and style of your new pool. Your pool contractor will work closely with you to help you create a new swimming pool that meets your needs for recreation and relaxation. When you are gearing up for a swimming pool installation serving Salt Lake City , you will need to work with your swimming pool company to find a pool depth that is right for your lifestyle and needs. Let’s review some essential factors to consider when you are choosing the right depth for your new pool. As you are choosing a depth for your swimming pool, you will need to take your lifestyle and preferred hobbies into consideration. If you plan on only using your pool to swim laps, you may want to build a shallow pool that is a standard four or five feet in depth. When you intend on using your pool for diving or other types of recreation, you may need to create an end that is up to six feet in depth. Safety is of the utmost importance when you are planning a new pool installation. If you are raising young children, a very deep pool may pose a safety threat to young swimmers. Additionally, it is important to make sure that the shallow end of the pool is a safe depth for the shortest members of your family. A person should be able to safely stand in at least one part of the pool area. A very deep pool may ultimately prove to be more difficult to maintain than a shallower swimming space. When you make your pool deep enough for diving, you will increase the surface area of the tile or pool liner. Other accessories that come with a deep pool, such as diving boards, will also require additional maintenance. A new hot tub will provide you and your family members with the perfect place to relax and unwind at the end of a long day. If you are preparing for a hot tub installation near Salt Lake City, make sure to hire a qualified pool contractor to assist you with your project. From choosing the site for your hot tub to connecting the electrical wiring, your contractor will provide you with many essential services. Here is a step-by-step guide to what you can expect from the hot tub installation process. The first step of a hot tub installation is to find a site that is appropriate for your new unit. Depending on the building codes in your city, you may need to place your hot tub at a certain distance away from the exterior of your home. Along with considering building code, you will also need to find an area that will allow you to conveniently access your hot tub. After you have chosen the appropriate site for your hot tub and picked out a hot tub model that includes all of your favorite features, you will be ready to schedule a delivery with your contractor. In order to safely deliver your hot tub, your contractor will need to be able to safely reach the installation area. You may need to temporarily trim back trees or remove fence panels in order to successfully accomplish the delivery. During the final phase of your installation, your contractor will need to connect your hot tub to your home’s electrical grid. Your hot tub will require electricity to power its jets, lights, and other features. Since wiring a hot tub requires specialized knowledge and tools, you will typically want to leave this step up to your licensed hot tub installation contractor. 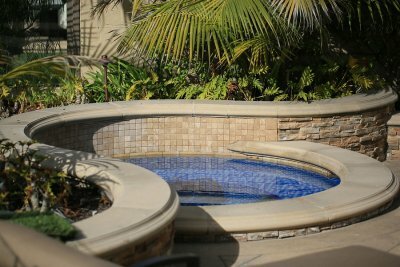 Once the wiring is in place, you will be ready to start enjoying your new spa.